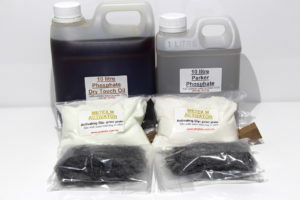 Iron & Steel Blackening Kit. 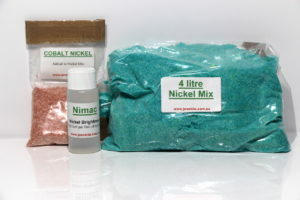 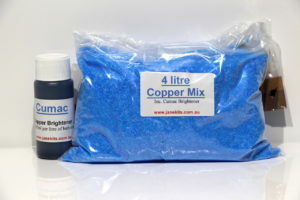 The contents include two separate concentrates that when mixed with water, create two separate 1 litre baths to blacken steel. 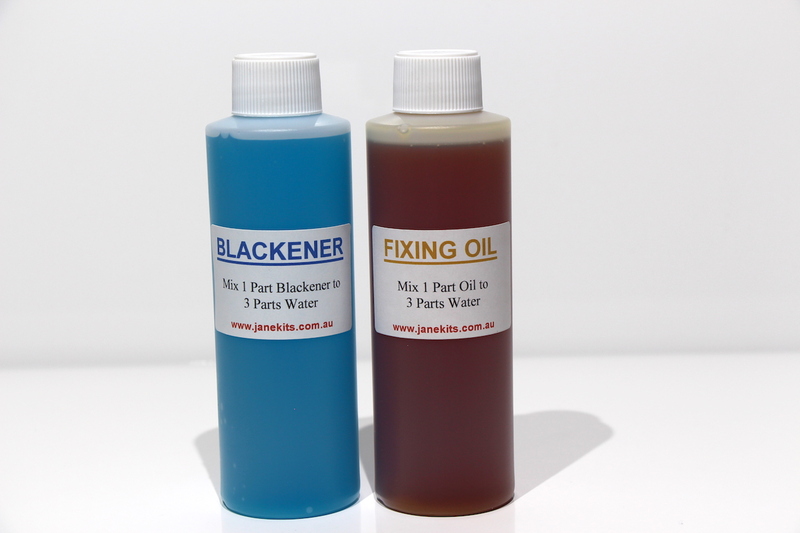 It is a simple double dip procedure for blackening iron and steel. 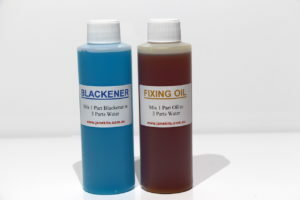 You will receive: 250 ml of Blackening chemical concentrate & 250 ml of Fixing Oil chemical concentrate (both are mixed with water in separate baths) & procedure instructions. 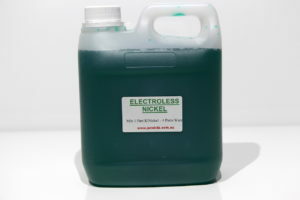 See Iron and Steel Blackening category on the home page for more information.